Damien is a trainee conveyancer in our property department and is due to qualify shortly. 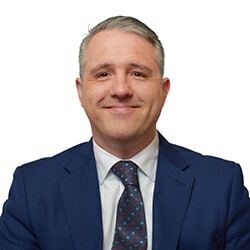 As a boy Damien grew up around conveyancing and has worked in a local family conveyancing business for many years. Damien joined WBW in April 2016 when his late mother’s practice partnered with WBW and is excited to be part of the team. In his spare time Damien is an avid model maker and painter and has been featured in international model making magazines. Also having trained as a chef Damien enjoys cooking.